a special message for our disabled veterans . 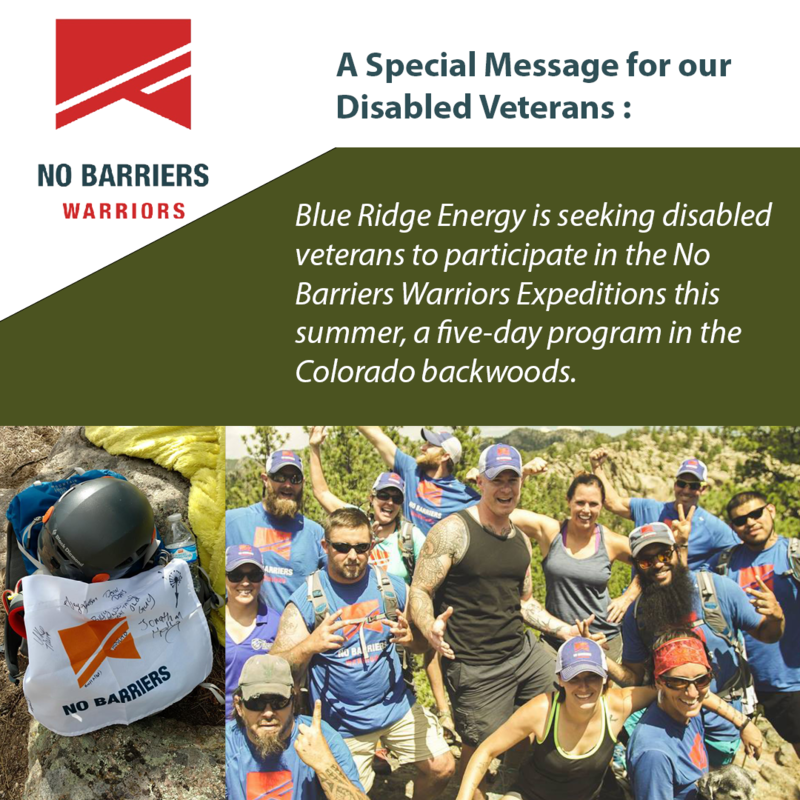 . .
Blue Ridge Energy is seeking disabled veterans to participate in the No Barriers Warriors Expeditions this summer, a five-day program in Colorado backwoods designed to help disabled veterans transform their lives through curriculum-based experiences in challenging environments. The expeditions are described as “one-part adventure, one-part curriculum, and one-part physical challenge” and are designed to push participants mentally and physically to help them connect with fellow disabled veterans and break through barriers in their lives. Blue Ridge Energy's lending partner, CoBank, will cover the entire cost of the program for participating veterans including all travel costs. Nominate yourself or someone you think deserves this special opportunity by April 15, 2019.